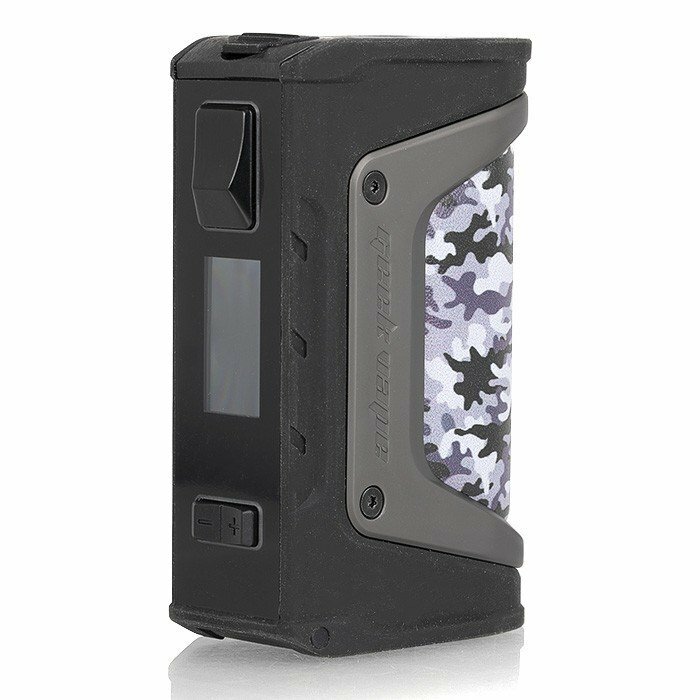 I won’t leave any of you hanging with suspense (or fear of reading 1,300 words to get to the point) – the Geek Vape Aegis Legend (not to be confused with Geek Vape’s 100W previous edition) is my current favorite mid-wattage vape mod of 2018. It has received 90% of my vaping time since arriving on my desk, and that’s only because I need to test other devices during that remaining 10%. Yeah, it’s that [EXPLETIVE] good. 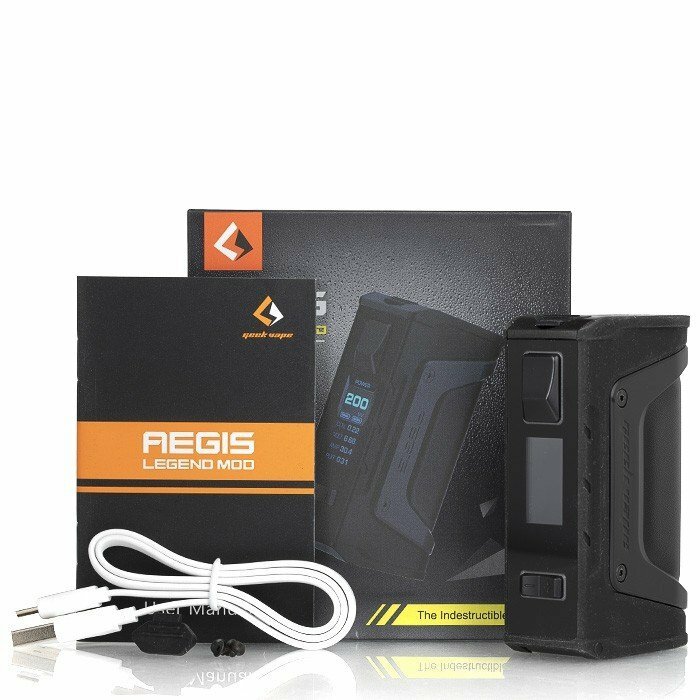 The original Aegis was a single 26650 mod that relied a little too heavily on that fat battery format, but brought some cool things to the table, including water resistance and drop-durability. The single-battery format might have been a mistake, but the exterior design wasn’t. And in a dual-18650, mid-wattage format, complete with leather grip, rubberized surface and all-around solid feel, the Legend is the true paramount of this design scheme. Though it’s a bit bulky, the Aegis Legend is surprisingly ergonomic, considering the overall heft of the device. The rubberized coating and leather grip definitely add some weight, but the Aegis Legend never feels heavy. It just feels durable. More importantly, it feels outright fantastic in the hand. Whether you hold your mod in a left or right hand, trigger or thumb grip, Geek Vape thought of you. In other words, there aren’t too many ways to hold the Aegis Legend incorrectly, and I’ve never felt more “at home” with a higher-end vape mod than I did with the Legend, after such a short duration. Love at first sight? Maybe that’s a bit much… but it’s also not that far off. 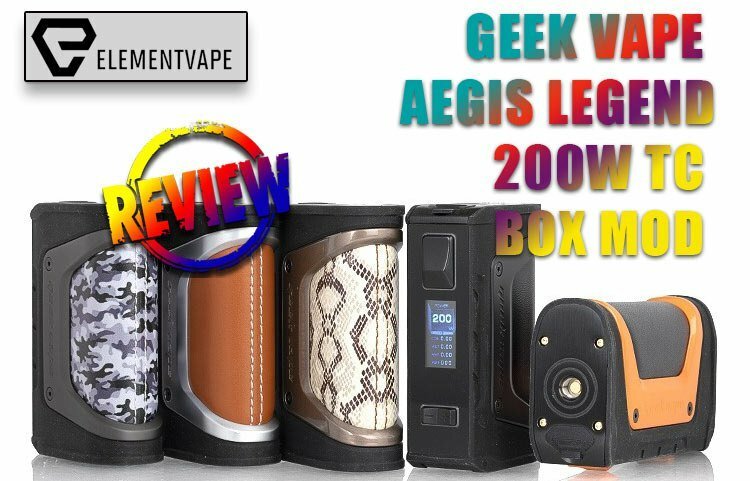 Let me give you a quick run-through of the internal features that make the Geek Vape Aegis Legend a standout. 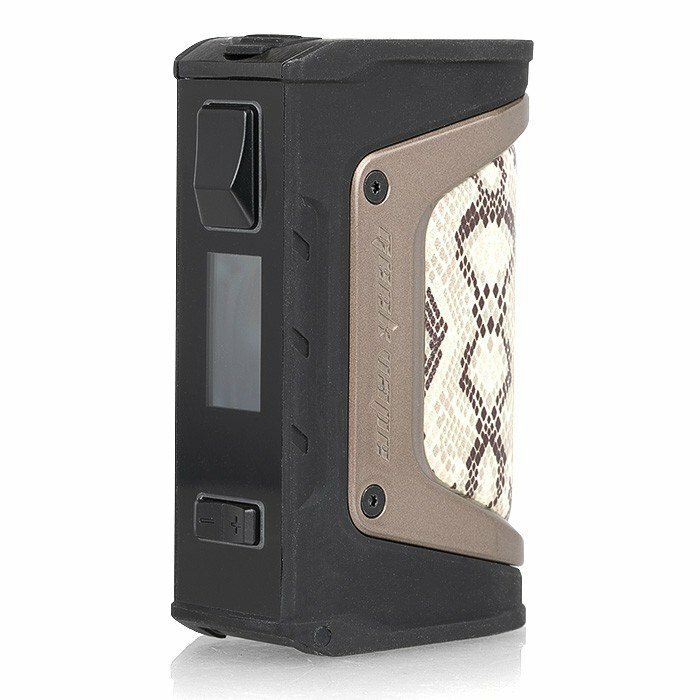 Because it’s a modern vape mod, you will enjoy the usual array of wattage, temperature control, TCR, bypass, custom heating curves and more. 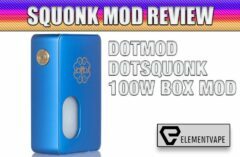 And all of the above work well – better than most mods in this higher price range, much less more “mass market” devices. More importantly, all of the above functions work without ever compromising the performance of the mod. If you’re a straight wattage vaper, the Legend is likely to exceed your needs. If you like basic temperature control, with some customization flexibility, you’ll likely enjoy the Aegis Legend, as well. Hell, if you just want a stylish mod with bypass functionality to show off to your friends, this is a great choice. The Legend’s screen is par for the course. If you’ve been around Geek Vape mods over the last year or so, the display isn’t going to wow you. But the layout and overall menu structure is as reliable and usable as it is boring. No, the Legend isn’t going to knock your socks off with its high-res looks, but what it lacks in innovation, it makes up for in simple UX design. You’ll get where you need to go. You likely won’t struggle to make it happen. It’s an above-average interface that will suit most users just fine. Is it “high-end?” Nope. But considering how needlessly complicated DNA devices have been until the release of the 250C, I’m not really sure what “high-end” means anymore in 2018. The other “selling point” features of the Geek Vape Aegis Legend is the supposed water resistance of the mod’s exterior. Not that we want to submerge our vape devices, but Geek Vape is claiming waterproof guarantees for up to 30 minutes at a depth of one meter, and shock proof drop protection from roughly that same distance. Well, we’re not rich people. And we’re not stupid people, either. 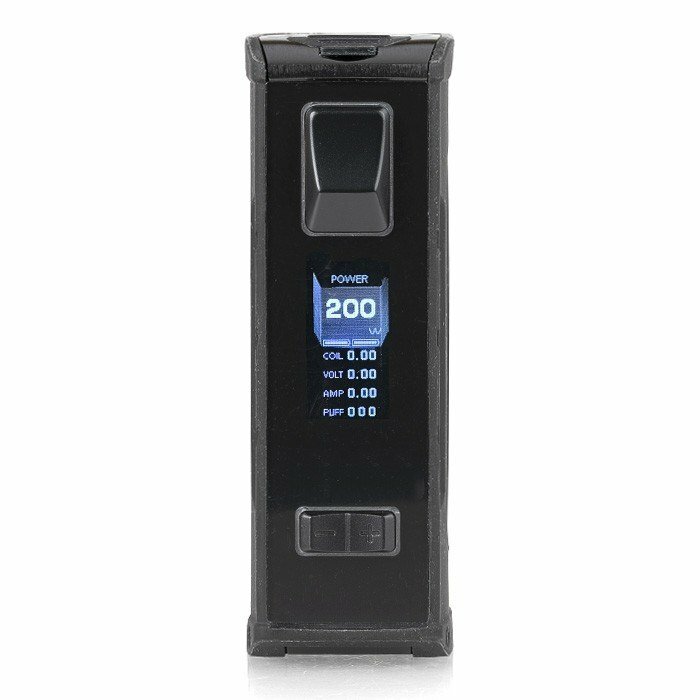 So we didn’t “stress test” the Geek Vape Aegis Legend beyond actual vape purposes. But I CAN say that I had a self-made coil/wick combo go absolutely bananas while attached to the Legend, leaking like a prisoner with no friends. And the thick, viscous liquid pooled on the rubberized surface, but cleaned up quickly, without an ounce of worry. Will I eventually test the water resistance of the Geek Vape Aegis Legend? Probably not – but I also believe enough in the company to buy into the claims. The Legend certainly feels the part. Just take care of your Aegis Legend, won’t you? Like we alluded to earlier, the Aegis Legend is a breeze to operate. While the screen is predictable and pedestrian, it does its job extremely well for the linear, well-thought menus lying underneath. The only tricky part is the dual-press feature that allows you to change screen color. I managed to get it working one out of every five attempts, even with advanced knowledge of this firmware. So, about that temp control… in a word, don’t-bother-it’s-really-difficult-to-use (the hyphens mean it counts as one word) because the temp modes are lame. Let me rephrase – if you have little experience tinkering with coil resistances and subtle adjustments, the Legend isn’t going to make you a better student of the TC game. But the mod has just enough local customization to keep users at bay. My problem with the Legend is that the TC and TCR modes don’t go any further than a million similar devices. And as a result, the Legend feel less like an actual high-end TC mod, and more like a wattage mod that happens to have TC functionality. But make no mistake, the Aegis Legend is powerful, and feels great, no matter how you use it. 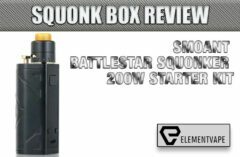 Ramping is smooth and even, and the mod never balks, even under more extreme testing. I opened with a hyperbolic sentence, so we might as well do it for our bottom lede, as well. The Geek Vape Aegis Legend is a fantastic vape mod, with a slew of functions and a ton of comfort and durability in tow. Is the Legend as “legendary” as its price tag claims? Not likely. 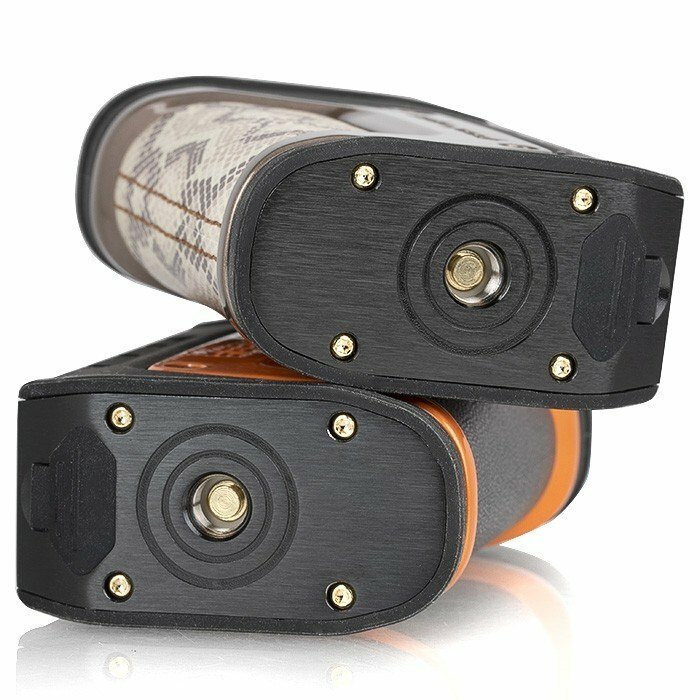 But what vape mods actually are? Still, with the rock-solid construction, ergonomic fit and overall feel, it’s hard to argue that the Legend isn’t among the most useful, powerful and versatile mods on the market today. Next : Vaptio Design Contest Opens Today!